Kingdom of Denmark is a sovereign state in Northern Europe, located south-west of Sweden, south of Norway, and bordered to the south by Germany. At 43,094 square kilometres (16,638.69 sq mi), and a population of around 5.6 million inhabitants, Denmark consists of a peninsula, Jutland, and the Danish archipelago of 407 islands, of which around 70 are inhabited, are characterized by flat, arable land and sandy coasts with little elevation and a temperate climate. The capital of Denmark is Copenhagen which has an urban population of 1,213,822 and a metropolitan population of 1,950,522 (as of 2012). 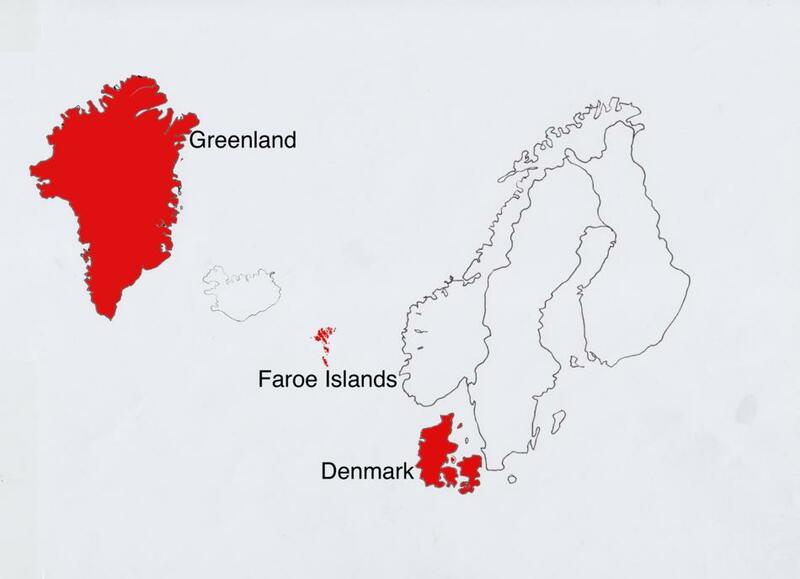 Denmark has two autonomous constituent countries in the north Atlantic Ocean, Greenland and the Faroe Islands. Greenland is an island country within the Kingdom of Denmark. It is located between the Arctic and Atlantic Oceans. In 2008 Greenland voted to gain greater autonomy from Denmark and a year later, took over many regulatory responsibilities. The Danish government still controls foreign affairs and national defence. Denmark continues to provide a subsidy to Greenland until Greenland’s economy become stronger. The capital city of Greenland is Nuuk. The Faroe Islands are considered an archipelago within the Kingdom of Denmark. The Islands are located between the North Atlantic Ocean and the Norwegian Sea. The Faroe Islands have been self-governed since 1948 but the responsibilities of defence, justice, currency and foreign affairs still lie with Denmark. The capital city of the Faroe Islands is Tórshavn. Guide to Danish Grammar written by John Madsen. What are the Faroe Islands famous for? What is Denmark Famous for? What is Greenland famous for?